TravelToursBolivia is a brand of "Late Bolivia - Tour Operador," a travel company based in La Paz city, our passion is to show the beautiful landscapes and amazing people of Bolivia to the world. We do not follow a slogan, but the conviction that Bolivia is "The Heart of South America". Late Bolivia exists to make possible the encounter between visitors and hosts among unique, authentic and responsible experiences along the best touristic destinations of Bolivia, the heart of South America. Experiences: We offer much more than ‘tours’. Quality: The best guides, transportation and hotels. Variety: The Uyuni Salt Flat is unique in the world, but Bolivia can offer you much more. Responsibility: We believe that tourism promotes the encounter betwen people (visitors and hosts), creating learning in a context of mutual respect for cultures and enviroment. Assistance 24/7: Specialized staff at your disposal in the time you need them. We invite you to download the mobile app to experience our 100% personalized service. 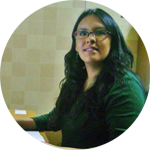 She is business and tourism administrator who is currently taking a Post-Graduate Course in Starting up New Companies. 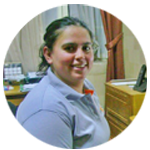 She has vast experience in outbound and inbound sales and tour operation for over 5 years. She speaks English and French as well as Spanish (native language). She is a business administrator with experience in outbound and inbound sales, logistics and human resources management for over 10 years. She speaks English and German as well as Spanish (native language). 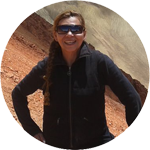 She is a professional guide with over 20 years of experience in all the Bolivian touristic circuits. She got her university degree in Laz. She speaks English and Spanish (native language). He is a business administrator with a master degree in Project Management. 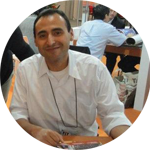 He has a 15-year experience in the hotel industry and touristic operation. He speaks English and Spanish (native language). *Your email will never be published. Sanchez Lima Av. 2226, Office 3, Sopocachi. © 2014 www.traveltoursbolivia.com - All Rights Reserved.